Teen portrait in a guest house. 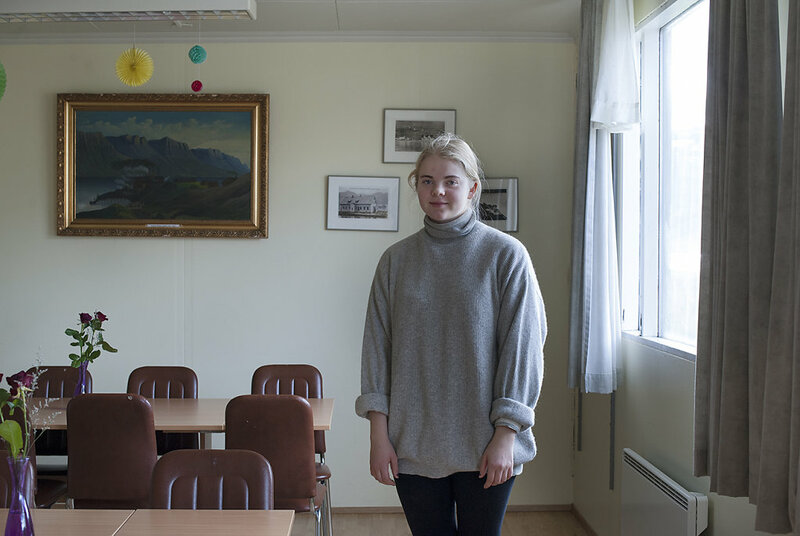 Iceland is the country with the highest rate of young people under 25. Most of them attend the college in the town closest to their village and have to work in the summertime to pay off their studies.